Special gift for special people, this Amazing Birthday Party Gifts Tray renders your loved ones with all the happiness they deserve. 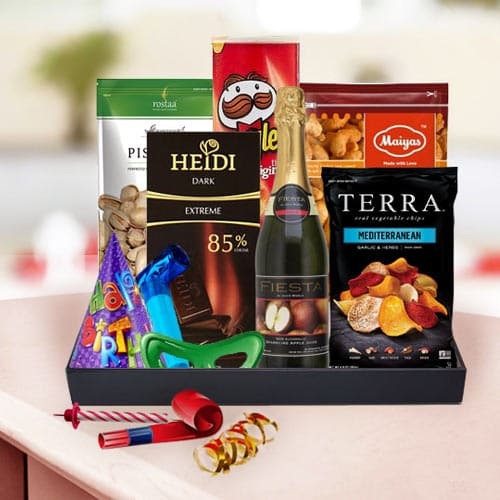 Make this Birthday unforgettable with 200 gm Pistachio, 200 gm Masala Cashew, Feista Sparkling Fruit Juice, Pringle Chips, Heidi Chocolate bar and Mediterranean Chips. All these items are brilliantly arranged in a Tray with Birthday Party Accessory.